As the leader of a church, one of your responsibilites is clarifying and keeping up with its vision. Because this is isn't an overnight accomplishment and seeing a vision through can take years, even decades, Lazurek explains that "sometimes fighting fires become the church’s reality and the church’s long-term vision is never clearly communicated. Members can get frustrated with not knowing the purpose behind programs or sermons. This can cause members to jump ship and find solace in calmer waters." "On the other hand," Lazurek continues, "churches can consume themselves with changing the world that they focus on grandiose building projects and focus so much on where the church is going to be in five or ten years that members have no way to help bring the church there in the here and now." 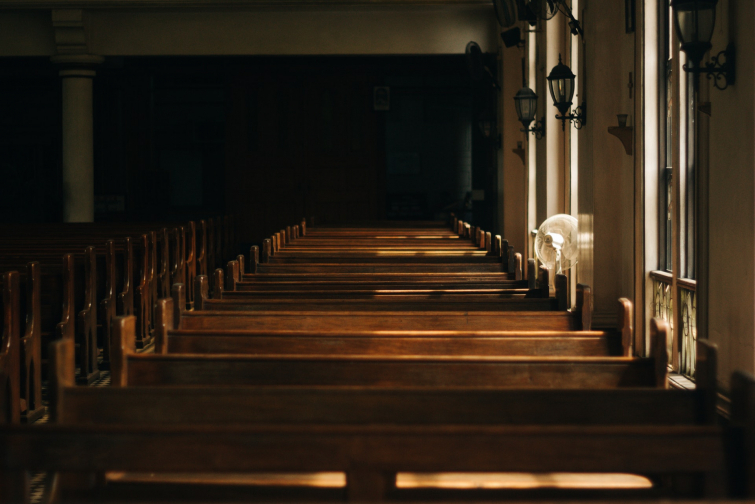 Your Church's Heart Has Turned Inward Rather Than "Godward"
In the West's modern secular society, Lazurek laments that "Christians are becoming known more for what they are against rather than what they are for." What a sorry witness! "If congregations are quick to disparage other’s reputations before showing them love and compassion, they are not seeking to be more like Jesus," she continues. "How can God reward members with more people to shepherd if existing members are not being challenged to the holiness commanded in the Bible?" This mistake is a major spiritual killer of churches who, in terms of numbers alone, appear to be thriving. "If leaders are more concerned with creating a new addition on a building than they are about meeting the needs of those around them it’s a recipe for disaster," Lazurek explains. "There’s nothing wrong with using money and resources to maintain or even revitalize a building, but if the people are more worried about adding more rooms for Sunday school class than they are about aiding the homeless person across the street, their priorities may be in the wrong place." Our media-crazed, self-reliant culture has also crippled believers in that so many of us seek DIY-bible studies and DVD series rather than exploring and examining God's word in fellowship with other believers and with the incredibly important accountability that comes with discipleship. "Nothing should replace a Christian’s study of the Word for themselves," Lazurek adds. "Transformation does not occur by more information but rather the application of it to their daily lives. Anything else contributes to the fruit we produce to wither rather than flourish." One of the more painful yet incredibly significant realities behind churches that wither and die is that the pews may be full, yet they are full of false converts and rocks in the soil preventing seeds of faith from taking root. Christ's parable of the sower in Matthew 13:5-6 gives us an incredibly clear picture of what happens here and why: “Some fell on rocky places, where it did not have much soil. It sprang up quickly, because the soil was shallow. But when the sun came up, the plants were scorched, and they withered because they had no root.” According to Lazurek, "members of your church who have shallow soil have not allowed the word of God to take root in their lives. When vision changes or situations don’t go their way, conflict sprouts, causing unnecessary drama Satan uses to make the church ripe for church factions and splits." "Growth in numbers comes as a reward for the transformation that God is doing in our hearts, Lazurek concludes. "Tend your church’s soil and seeds will have no choice but to take root."